Life is complicated. Let’s simplify. 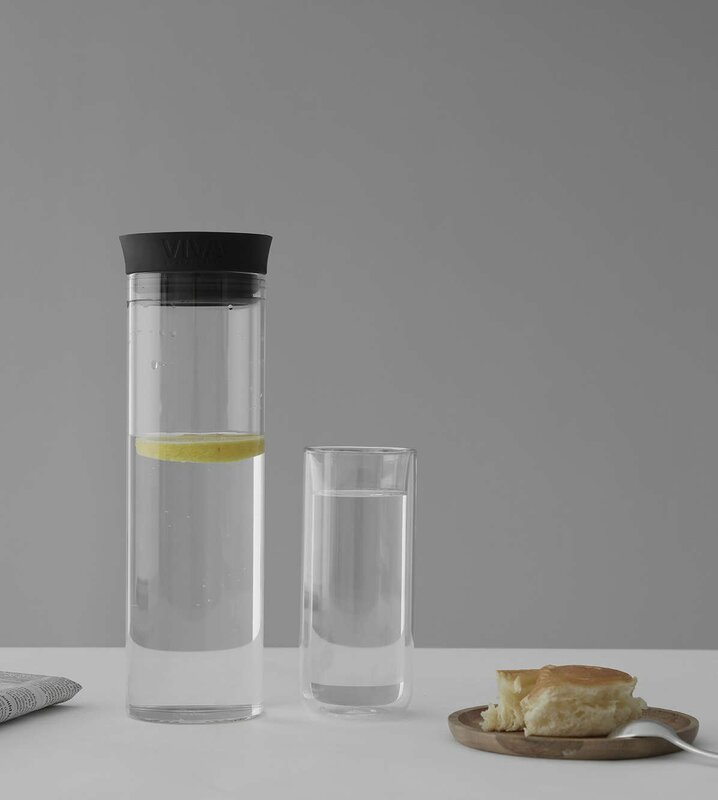 With this carafe, you’ll be able to indulge in your favourite hot and cold beverages at home or on the run. The drip-free design makes for a sublime pouring experience. The fine mesh infuser guarantees pure deliciousness. Size: L: 9.0 cm - H: 27.8 cm - Vol: 1.00 L / 34.00 fl. oz. We often wonder if life would be better if we found perfection. We might search for perfection in work or study. In people or places. Or maybe we might search for it in possessions. A perfect product doesn’t come around every day. You have to work hard to find these elusive items. You have to search high and low to get them in your life. Stop searching and start living the uncomplicated life you’ve always wanted with this sleek black Minima carafe. 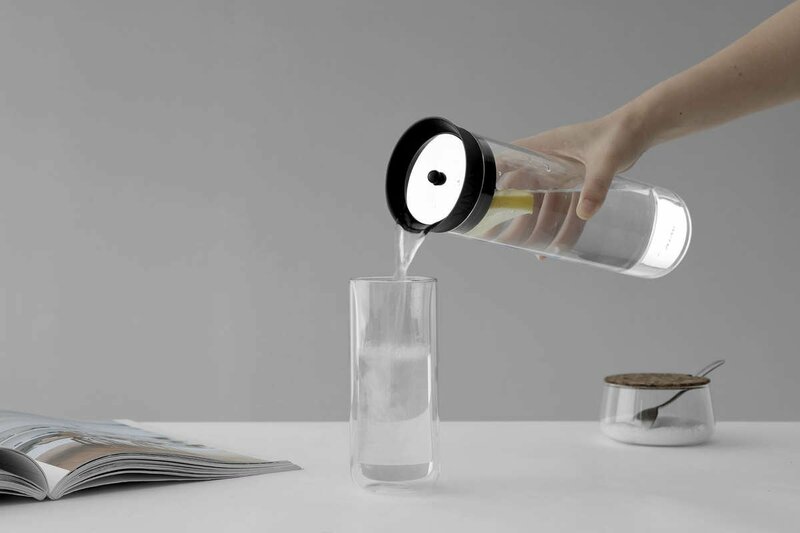 This carafe is of a special drip-free design that makes pouring a complete breeze. Say you want a hot or cold beverage, this glass beauty doesn’t discriminate. Both are welcome. This carafe is so well made that you can take drinks on the go with you or simply use it when you’re at home. The built-in mesh infuser guarantees a perfectly infused drink whether you’re filling it with fruit, tea or coffee. Hot or cold. At home or out. This carafe is the easy product you need. You can find perfection. It’s right here. 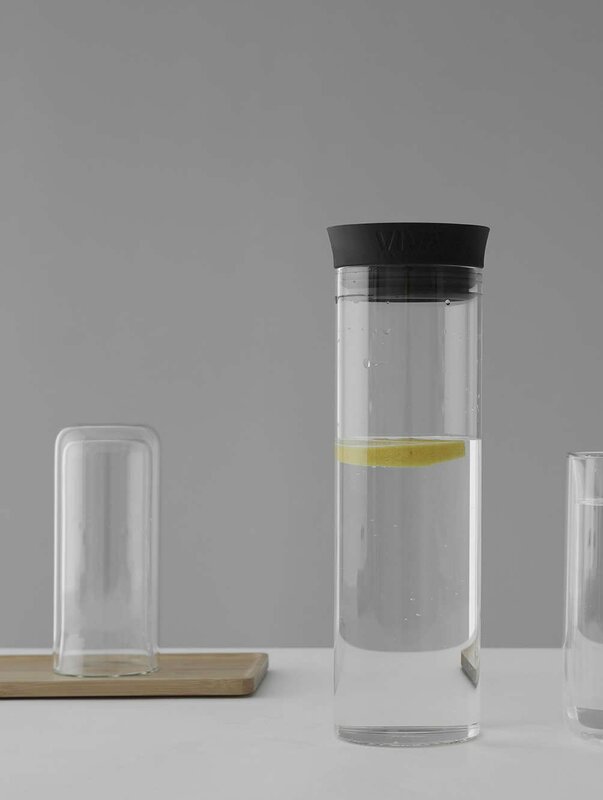 The widest part of the carafe is just 9 cm wide, about as wide as a wine bottle. This will fit easily in most refrigerator doors. Yes, it is! The cap is made from our premium quality food safe Istoflec silicone and the body is made from our special Vitriluma borosilicate glass. This means it’s completely food safe, dishwasher safe, and BPA free. Can I pour boiling water directly into the carafe? Yes, borosilicate glass is the same type of glass used in premium quality cookware. You can pour boiling water directly into the carafe without fear of it cracking or shattering. Is the silicone chemical free? Yes, we know you take your healthy seriously, and so do we. Our high quality Istoflec silicone is 100% BPA free and food safe. How big is this jug? This carafe can hold up to 1 litre of your favourite beverage. Keep a batch in your fridge so you can enjoy it anytime.